Palestinian medical sources have reported, on Monday morning, that a man who was shot by Israeli army fire on March 30th, in the southern part of the Gaza Strip, has succumbed to his wounds. 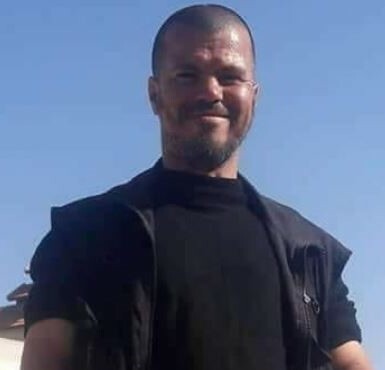 Dr. Ashraf al-Qedra, spokesperson of the Health Ministry in Gaza, identified the Palestinian as Marwan Odah Qdeih, 45, from Khuza’a town, east of Khan Younis, in the southern part of the Gaza Strip. He added that his death brings the number of Palestinians who were killed by the Israeli military since the “Great Return March” on March 30th, to thirty Palestinians, (excluding a farmer who was killed on his land that morning), while at least 2860 have been injured, including dozens who suffered serious wounds. On the same day of his serious injury, the first day of massive nonviolent protests marking the Palestinian Land Day, the soldiers killed 16 Palestinians, including a farmer who was killed on his land during morning hours, hours before the protests took place. On Friday, April 6, one of Marwan’s relatives, identified as Osama Khamis Qdeih, 38, was among seven Palestinians, including one child, who were killed by Israeli forces during protests at the Gaza-Israel border. In related news, Dr. al-Qedra said the soldiers injured, Sunday, four Palestinian protesters east of Jabalia, in the northern part of the Gaza Strip, and six others east of Gaza city. On Sunday evening, Israeli soldiers shelled a Palestinian agricultural land in the Juhr Ad-Deek area, southeast of Gaza city.